We are delighted to announce to all competitors and their tutors that a New Prize has been introduced. 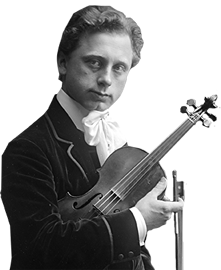 Herein great thanks to Mrs. Nicole Van Gils for the Kocian Violin Competition support. The Nicole Van Gils Prize, Belgium Honorary Consul in Prague, for the best interpretation of Belgian composer at value 5000,- CZK. Prix de Madame Nicole Van Gils, Consul honoraire de Belgique à Prague, pour la meilleure interprétation d’une oeuvre d’un compositeur belge” (valeur 5.000,- CzK).